Shrimp is always a tasty treat in the summertime. Put it together with refreshing cucumber and you have a light, very quick dish. I guarantee you can make this dish at least twice in the time it takes for that Chinese delivery guy to show up. But this will be much fresher. Chinese food has actually been in America since the late 1800’s and it made it’s way to the east coast early in the 20th century. When “The Art of Good Cooking” was written in the 1960’s, Polynesian themed restaurants were gaining popularity. Surprisingly, American Chinese food is actually a strange combination of Cantonese, Polynesian, and American cuisine. This is reflected in the sweeter ingredients like sugar and pineapple, as well as the infamous MSG that was practically considered a spice in the 1960’s. 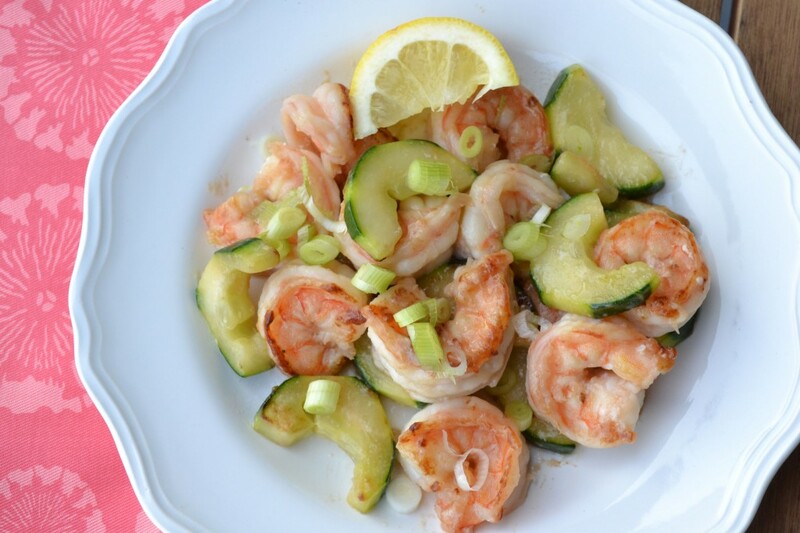 This dish is no exception and was titled “Shrimp with Cucumber, Chinese Style.” It of course includes cornstarch, sugar, and sherry (optional) which are all definitely not Authentic Chinese ingredients, but more so American Chinese ingredients (which also means kids will love it!). Combine sherry (if using), soy sauce, sugar, and cornstarch. Marinate shrimp in this mixture. Peel cucumbers and cut in half; scoop out seeds with a teaspoon. Cut into ¼ inch slices. Add to shrimp mixture. Just before serving, drain shrimp and cucumbers from marinade but reserve marinade. In a heavy skillet, heat vegetable oil until it is hot. 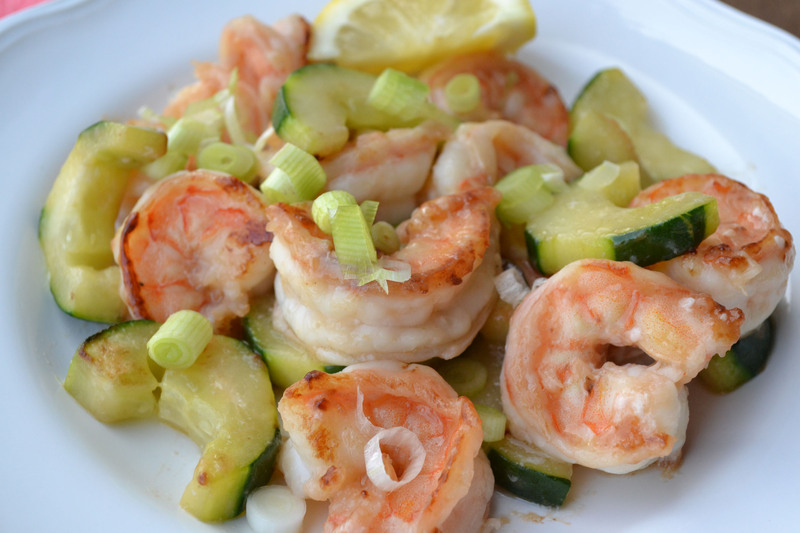 Add shrimp and cucumbers. Saute over high heat stirring constantly, for 3 or 4 minutes, or until all shrimp are pink. Add marinade. As soon as sauce thickens, serve with fluffy steamed rice. Garnish with chopped scallions.